Hello everyone! I hope you had a wonderful weekend, as for me I had a very busy weekend doing some last minute christmas decoration and finally started wrapping some of the christmas presents. 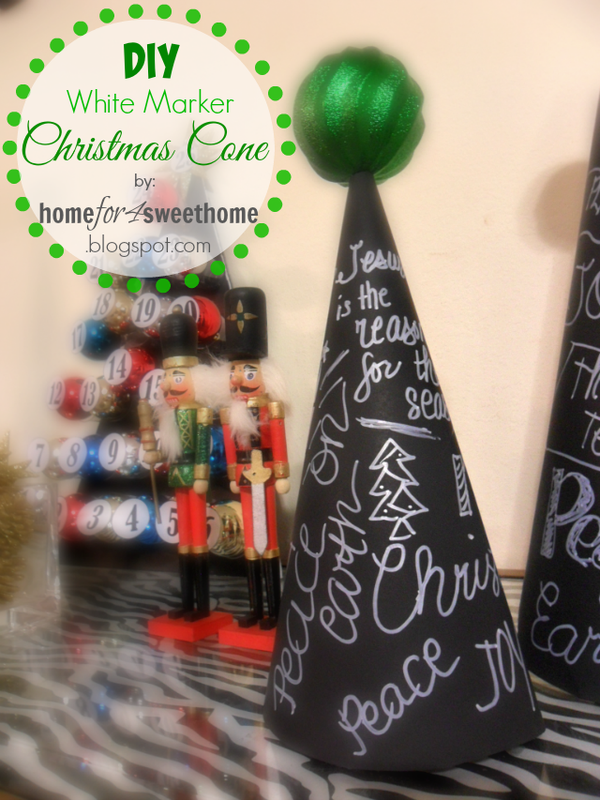 One of my last minute christmas decoration that I did last week was this White Marker Christmas Cone. I was wanting a christmas cone on my console table in the living room but was not finding the right one for me. 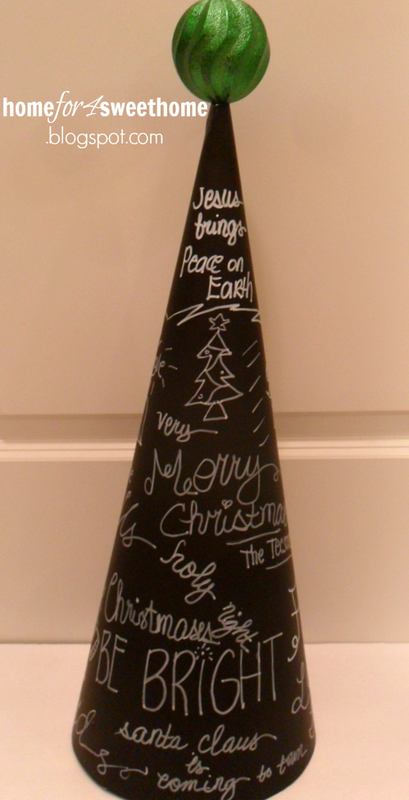 So you know what happened next....I created my own Christmas cone. What I purchased was 2 pieces of black large craft paper at the dollar store and white marker. First created a cone out of the black craft paper, the size is your own choice depending on how small or how big your cone you'd like it to be. 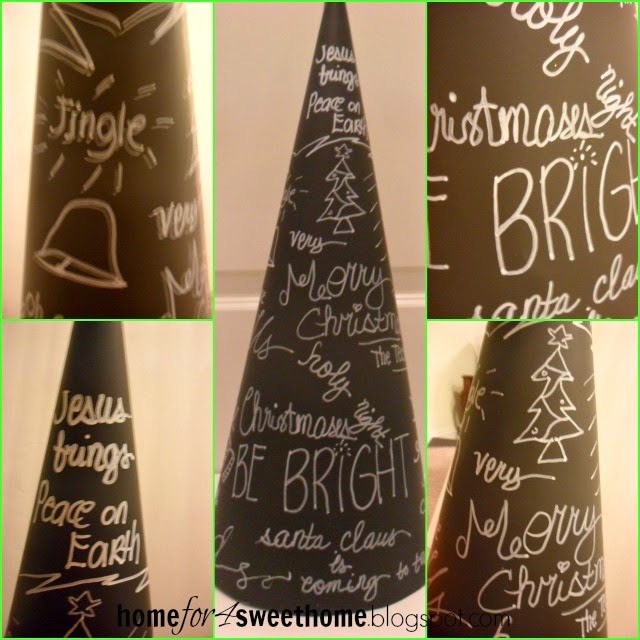 Then I started writing on the cone some christmas lettering, using different font styles & sizes. Okay, my handwriting is not perfect but I tried so hard to make it presentable and artistic as I could. Going for it like a pro! It looks like a chalk effect to it. and I love it! 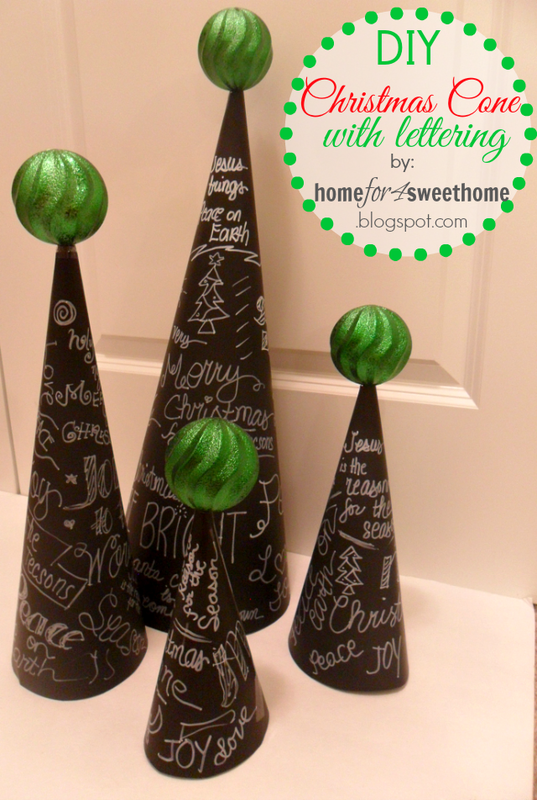 I cut the tip of the cone then stick an ornament that I already have. And I have this! I know when I really like something that I not only have to have 1 but 4! We don't have a fireplace and so we don't have a mantle but this table console act as our mantle. When I placed the christmas cones onto the table console. It just came all together with the other decor on the table just like that. I am so pleased by how it actually turned out and cannot wait to show you a mini christmas tour soon. Such a fun project. I love them all grouped together! The lyrics to a Christmas carol might be fun to write on a few too. I had fun making them too Brandi♥ thanks for stopping by!